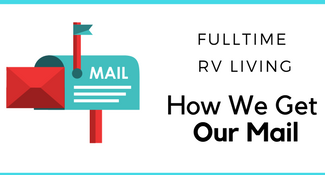 Many of you know that we have been in Dallas for a few months and will continue to be here until after the holidays. My family has not wasted any time in this beautiful city. It is super important for us to experience Dallas which is exactly what we have done with these Christmas events in Dallas Texas. 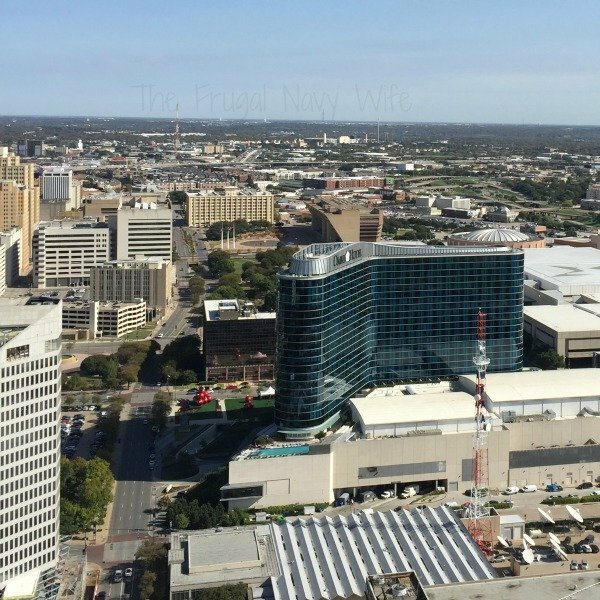 When visiting Dallas Texas make sure to also check out our Texas Resource page with 51 of the best things to do all over the state. 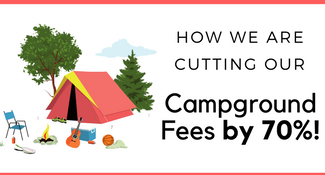 Tips on finding the best places to stay, and how to save money on the top attractions! As you visit and experience Dallas, there is so much to do daily. It has been so fun to be here around the holidays. One of my favorite things is having options during the holidays! Whether we want to visit a Christmas musical or visit the sparkling city lights—there is no shortage of stuff to do. 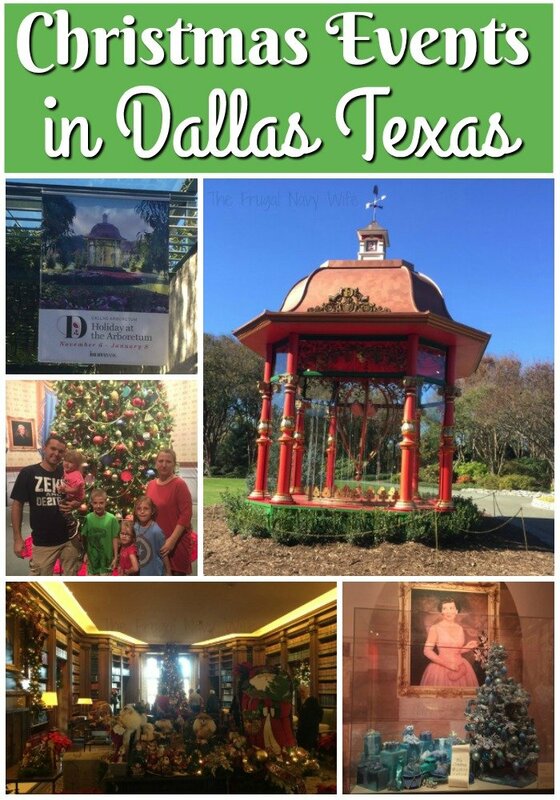 I wanted to share some things my family and I have done during the holidays while in Dallas. We were able to visit and take in 5 great attractions with their Holiday decor on, and I can’t wait to tell you about them! 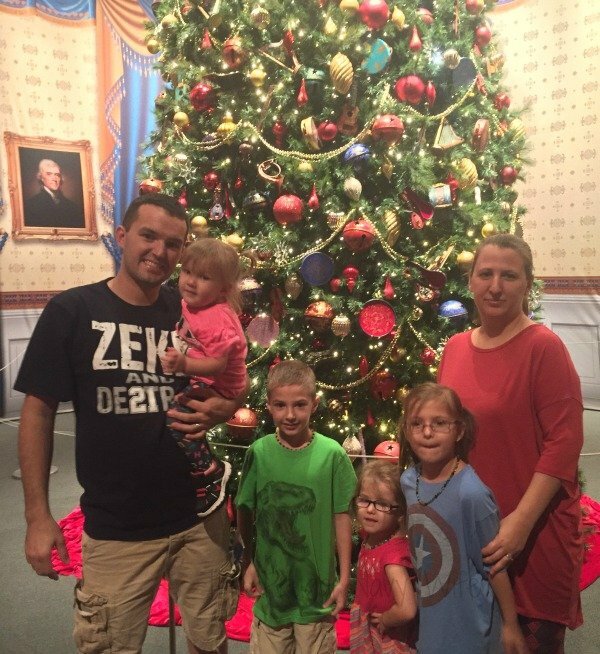 Holidays at the Bush Center is something unlike we have ever experienced before. During the holiday season, you can visit and experience all sorts of fun musical performances in Freedom Hall. There are also extended hours, so you don’t have to worry about crunching it into your schedule. 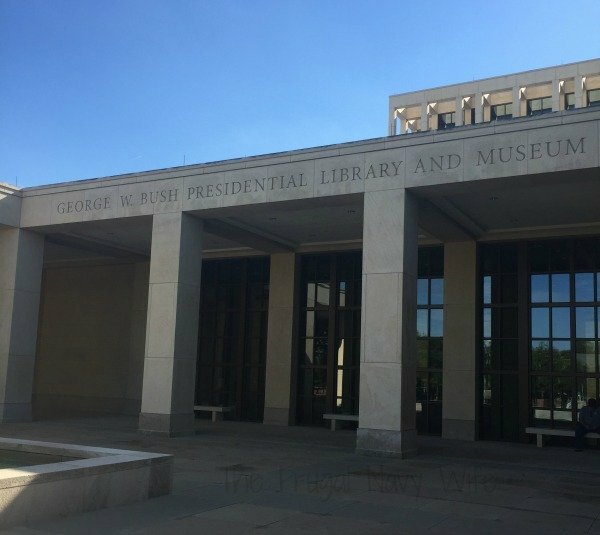 The Bush Center will be open until January 8th with all the holiday festivities. 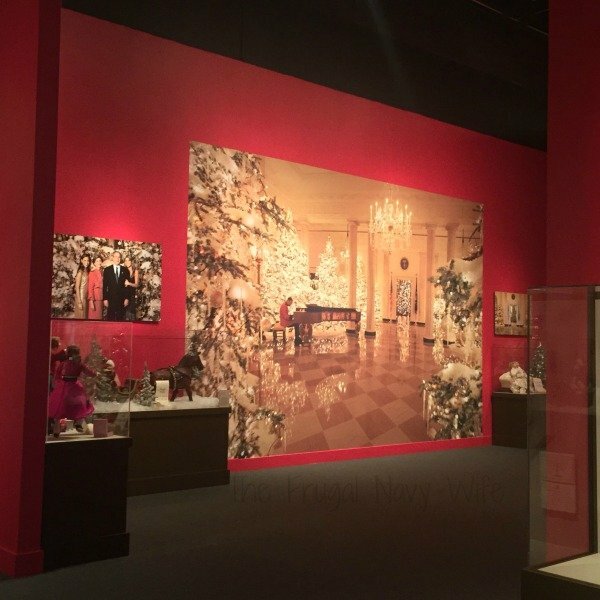 While there is Christmas decor call around the museum, they have a special exhibit for Christmas decor they used in the White House while they are there. 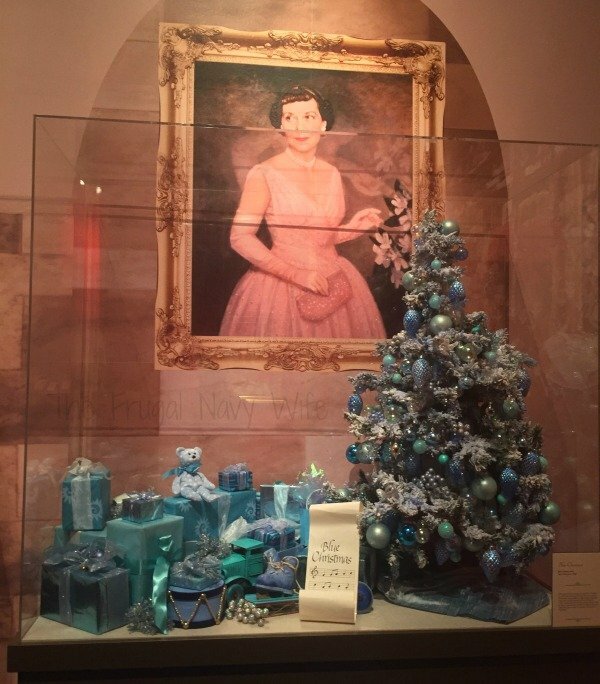 One exhibit I love is the Bush’s is that they picked several first ladies and had and did a little Christmas theme for each one including music! Can you tell what song this one played? They even had the Christmas tree all set up the way they had one year while Bush was president. They told us the ornaments are all numbered, so they are in the same place! One of my family’s favorite things to do is visit the zoo. 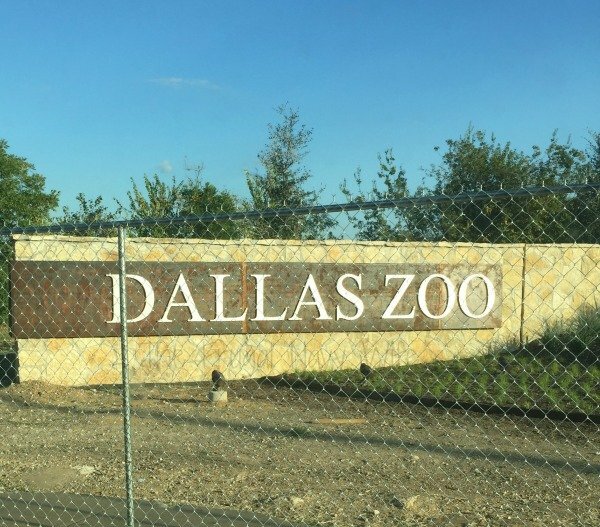 Heading to the Dallas Zoo was a highlight of our stay in Dallas. 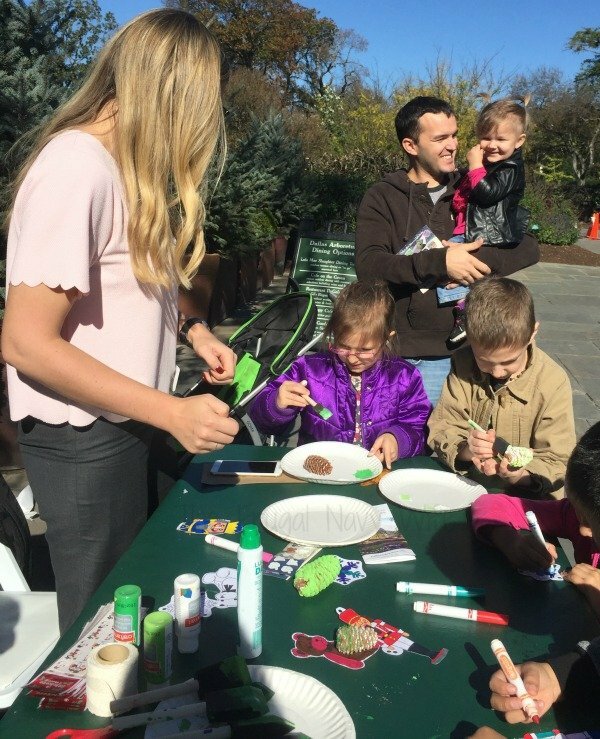 While we didn’t find the zoo decorated for Christmas, they did have the penguin exhibit and great hands-on lessons for the kids of other animals. Below is a video of my youngest feeding a giraffe and her laugh made my day! All my kids loved being able to feed the animals! It’s safe to say that we would visit the Dallas Zoo any day of the week. 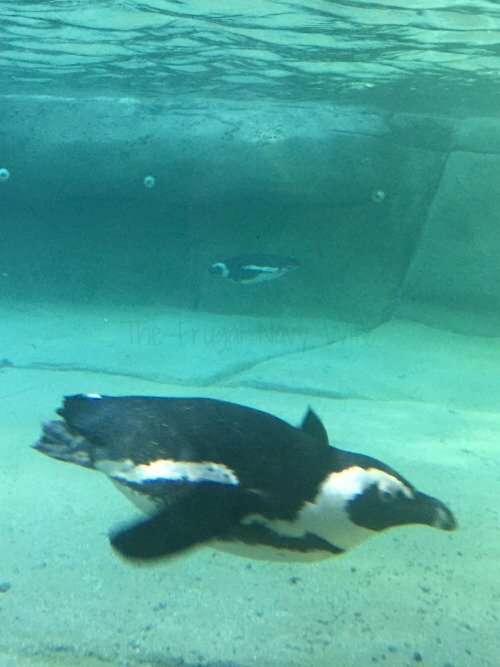 Another reason to head to the Dallas Zoo through February 28th is that guests can visit the African penguins (and all the other 2,000+ residents) for just $5 per person. Visiting here was another fun way to spend our time here in Dallas. 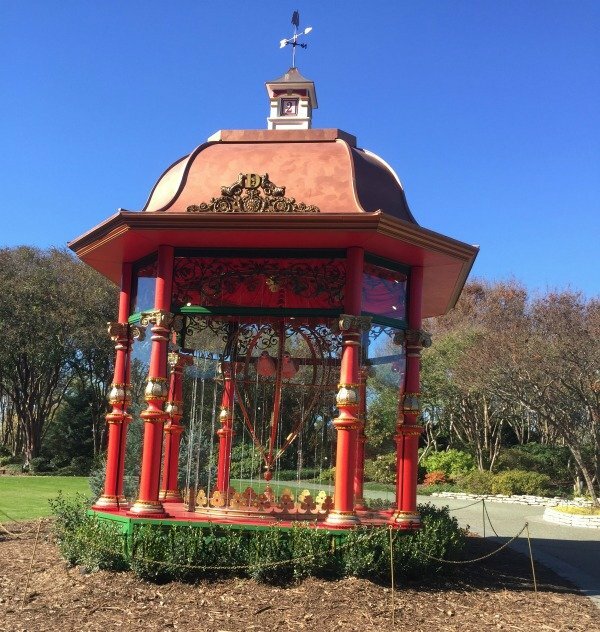 Some of our favorite parts of the Arboretum and Botanical Garden is the 12 Days of Christmas outdoor exhibit. You can experience this from November 6 to January 8. They had a scene from each of the 12 days of Christmas scattered around the grounds in a big circle. Each house also played Christmas music and moved! They were so beautiful the way the sun would catch them! Of course, there is also the new Claus Collection Santa Exhibit in the historic DeGolyer House! (Open daily from 10 a.m. to 4 p.m. with guided tours, and on Wednesday evenings during the holiday season from 6 p.m. to 9 p.m. In special celebration.) 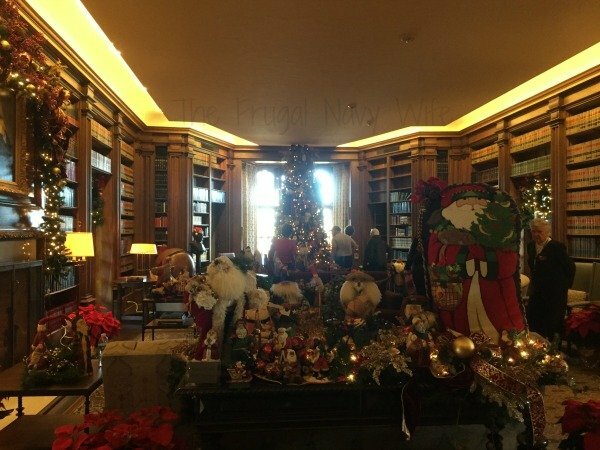 It is amazing and features hundreds of Santa’s on display from Junior League of Dallas, November 25 to December 31. They also had many stations for crafts and even an amazing harp player by the entrance. The Birds of Paradise and Giant Gems of the Smithsonian is open now through January 8th, and this is such an incredible way to spend your time in Dallas. You get to experience amazing brain adventures. 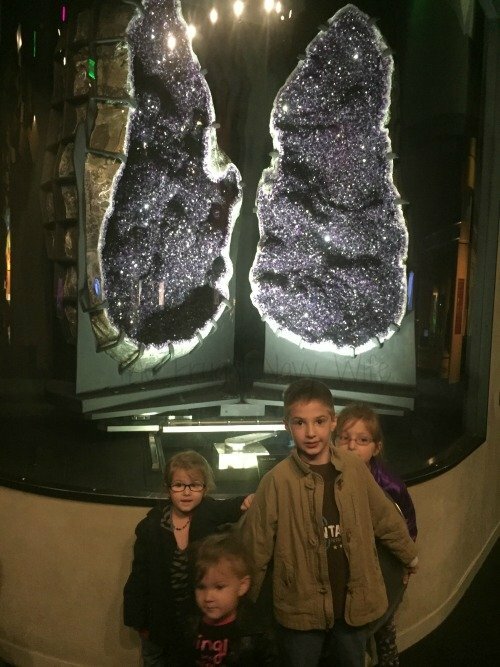 Experiencing science head-on was super fun for my kids. With having four children, I can tell you that this was nothing short of exciting for them, they loved it. I should say that my husband and I were also intrigued with the science aspect of it. While decorating, you can also see decoration around the city from the top as well. 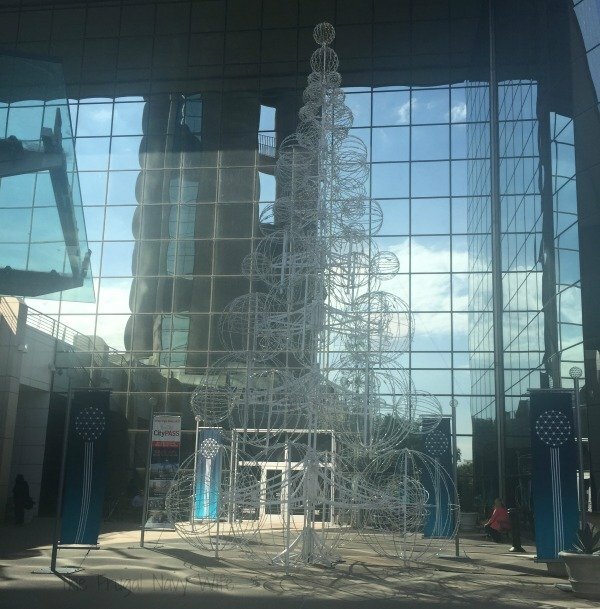 Visiting the Reunion Tower will get you excited for the holiday season ahead. 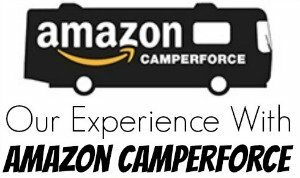 You can experience this through the holidays. 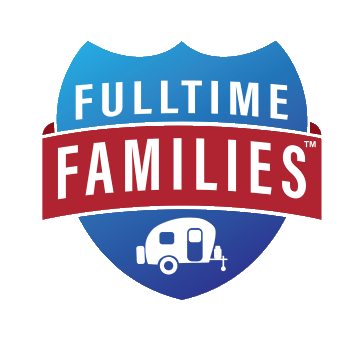 Balloon artists, visiting with Santa, and so much more! The hotel that tower is in is also decorated and playing Christmas music. Before heading up in the elevator, you can take a group picture and then even enjoy the view in the elevator. You can even see decor from around the city at the top, apart from the fantastic views. Notice the red balls in the lawn of that building? Those are large Christmas ornaments! Can’t make it to any of these venues? One place we’d like to visit is the Modern Spanish Art from the Asociación Colección Arte Contemporáneo, Meadows Museum, and it’s open all season long! And the Clay Between Two Seas, Crow Collection of Asian Art is open all season long. Both are excellent places to visit in Dallas. Also, check out our Texas Resource page with 51 of the best things to do all over the state. 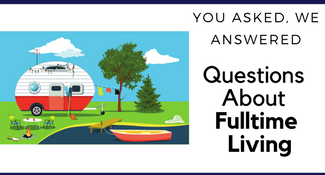 tips on finding the best places to stay, and how to save money on the top attractions! 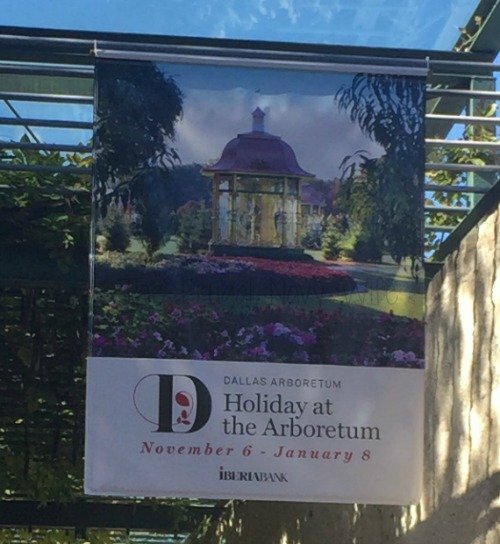 Thinking of visiting Dallas? This area has so much to offer. Between the amenities, airports, and a top visitor destination, Dallas has a ton to give its visitors. 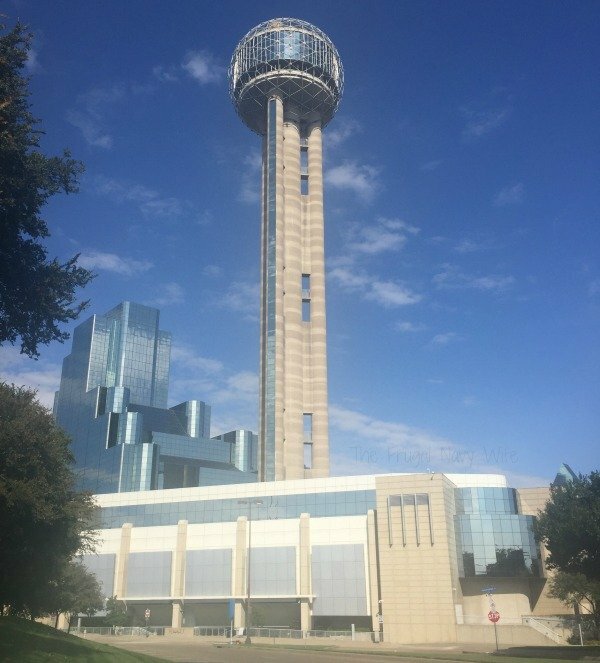 CityPass and the city of Dallas have partnered together to offer discounts and prepaid admission to top attractions in the city. Visitors can take advantage of this by visiting the Perot Museum of Nature and Science, Reunion Tower GeO-Deck, a choice between the Dallas Zoo and The Sixth Floor Museum at Dealey Plaza, and a choice between the George W. Bush Presidential Library and Museum and the Dallas Arboretum and Botanical Garden. For more information, visit visitdallas.com.